We test if we can distinguish the works of two impressionist painters using features derived only from the background of their paintings. The background area is said to bear the unconscious habitual movements of the artist compared to areas where there is fine detail (foreground). We derive Gray Level Co-occurrence Matrix (GLCM) features from sky and cloud elements of Claude Monet and Edouard Manet's paintings and apply neural networks on duplets and triplets of features. From 6-fold validation the neural network was able to separate the works of these artists to an accuracy of 86% for the duplet of features and 84% for the triplet of features. M. J. Narag and M. Soriano. 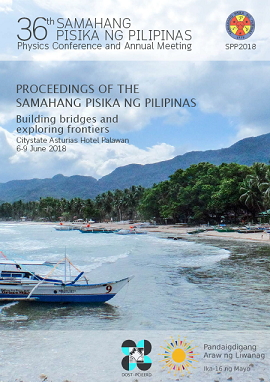 Identifying the painter using background texture features and neural networks, Proceedings of the Samahang Pisika ng Pilipinas 36, SPP-2018-1B-03 (2018). URL: https://paperview.spp-online.org/proceedings/article/view/SPP-2018-1B-03.